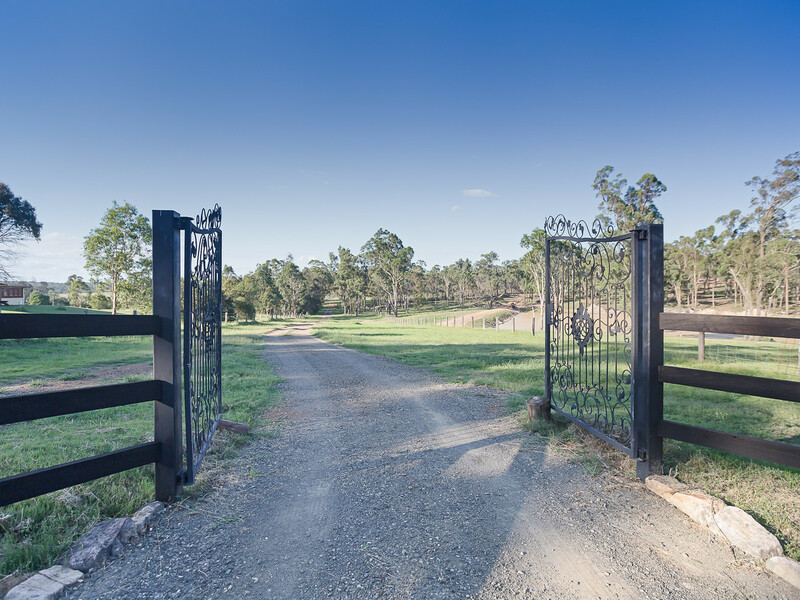 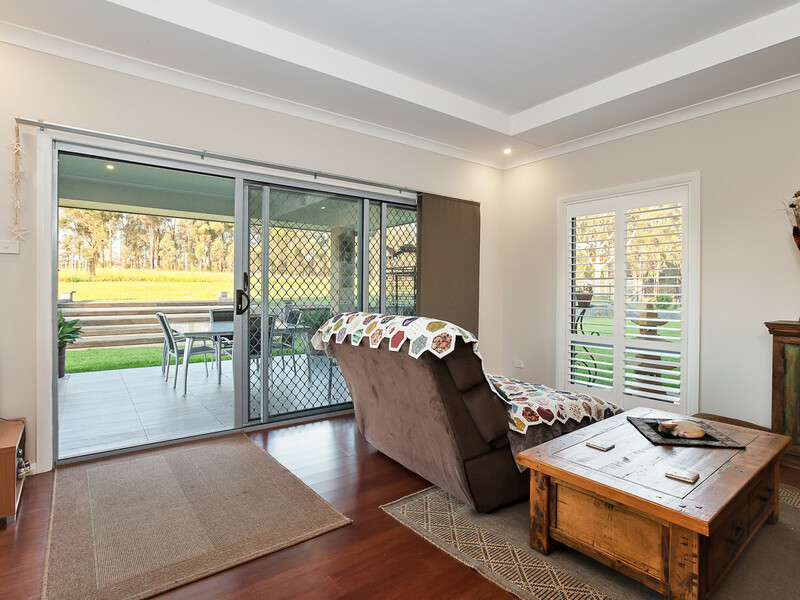 Tucked away on a quiet country road, this magnificent 100 acre property features two houses and is privately nestled just a few minutes’ drive from the Hunter Expressway and Pokolbin’s Wine district. 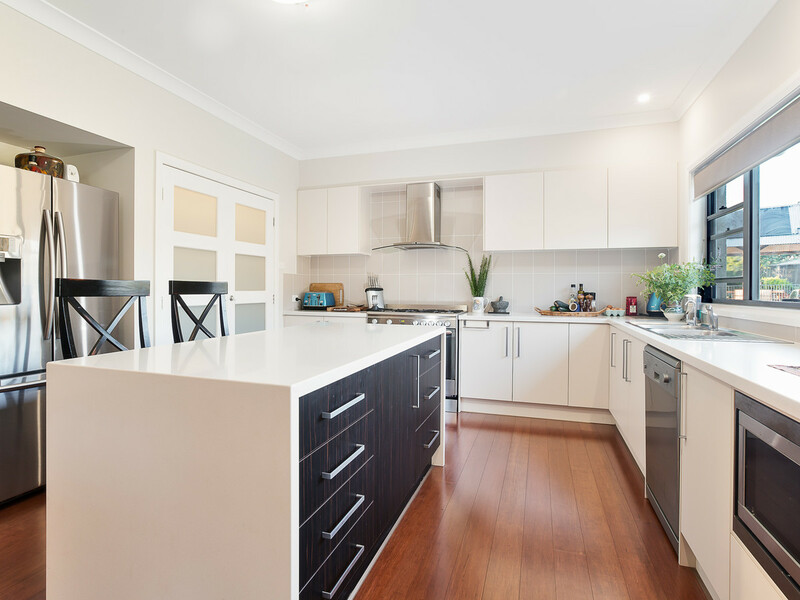 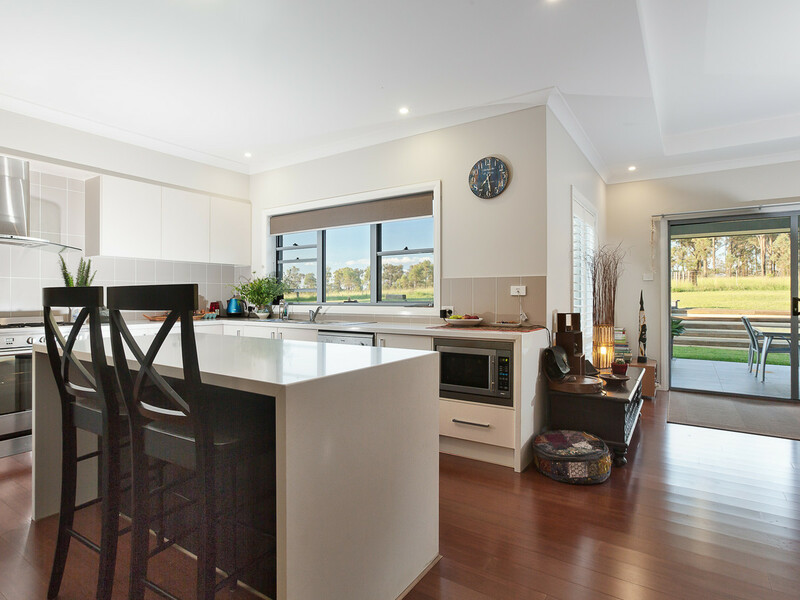 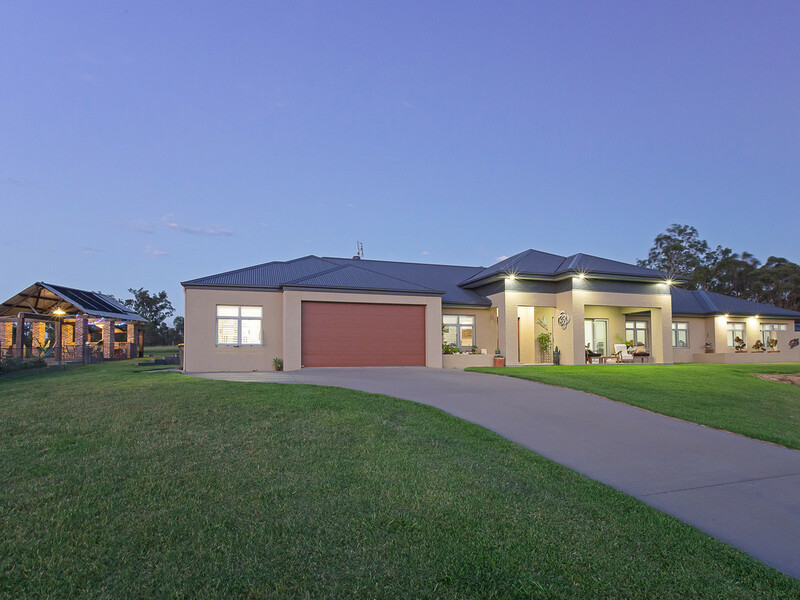 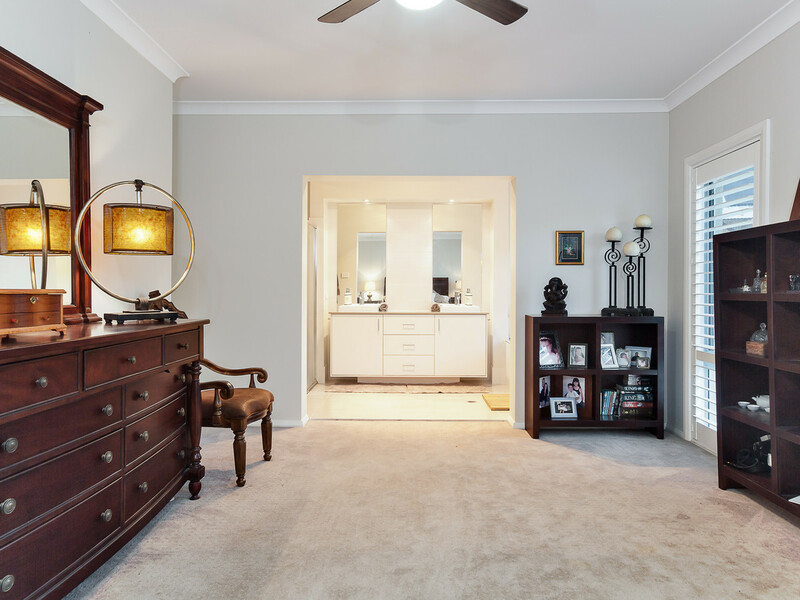 The main homestead is a sprawling 5 bedroom home with 9 foot ceilings, a separate study, ducted air conditioning, combustion fire, ceiling fans throughout, large open plan living and dining areas, massive garage with internal access and separate gym. 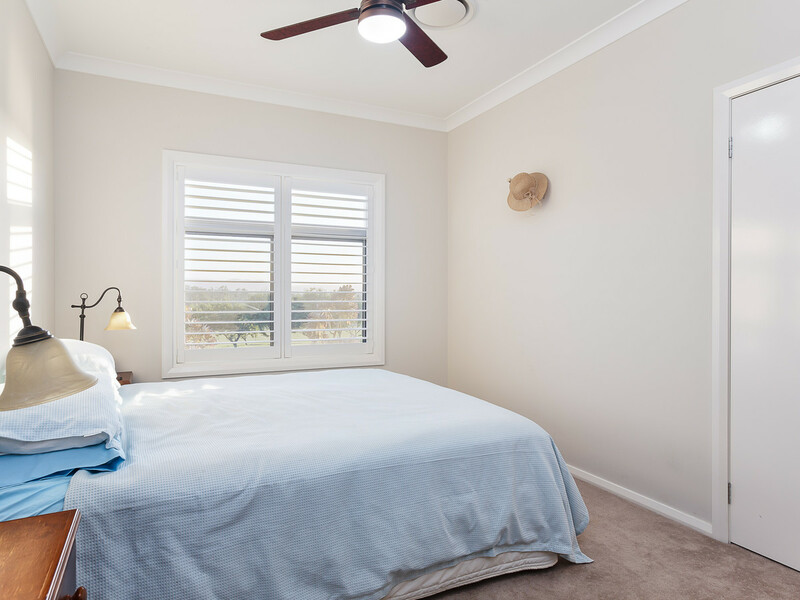 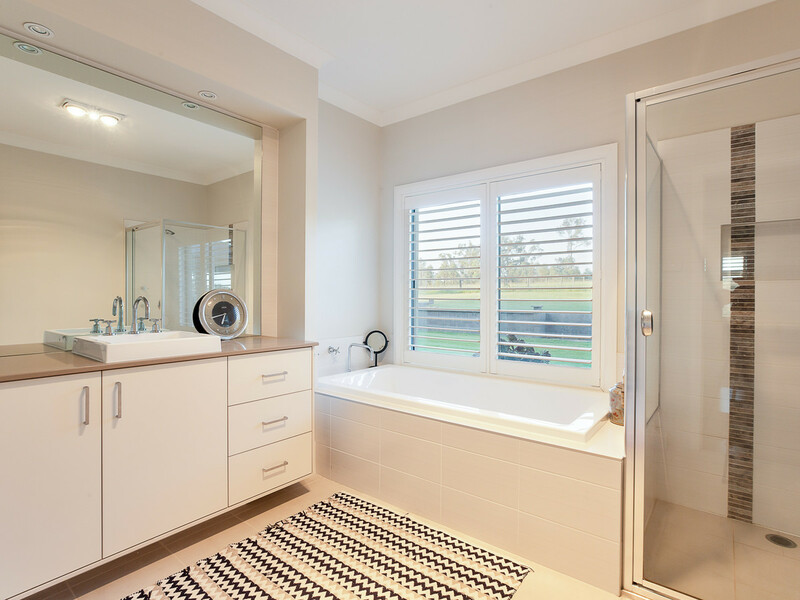 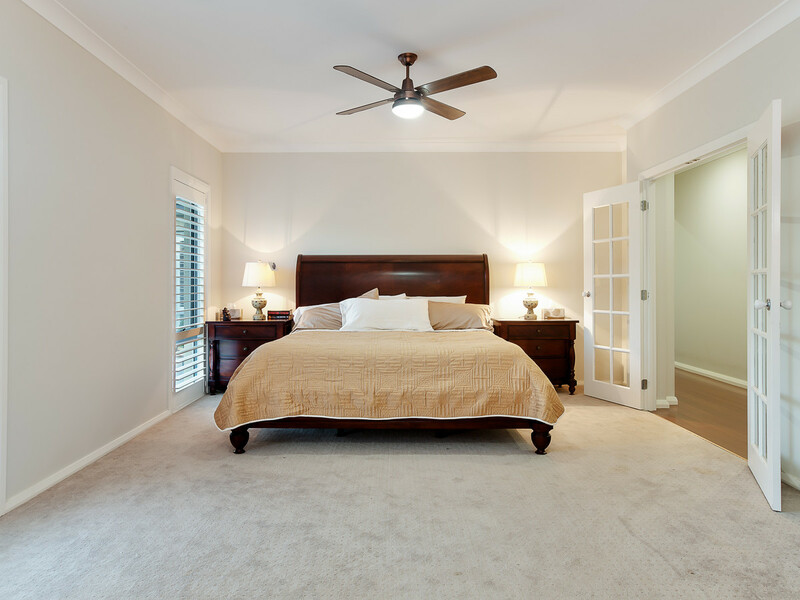 The main bedroom is enormous with a huge walk in robe and ensuite. 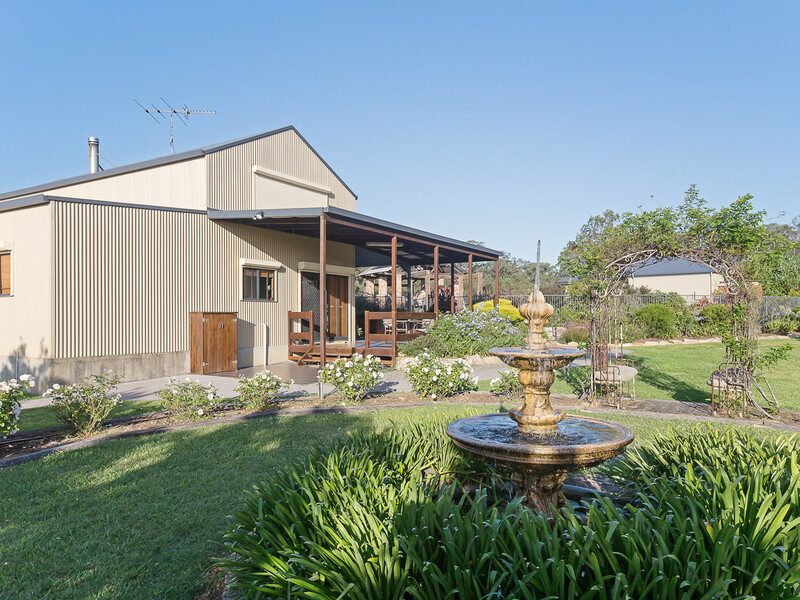 Only a few years old the country style home is of the finest quality. 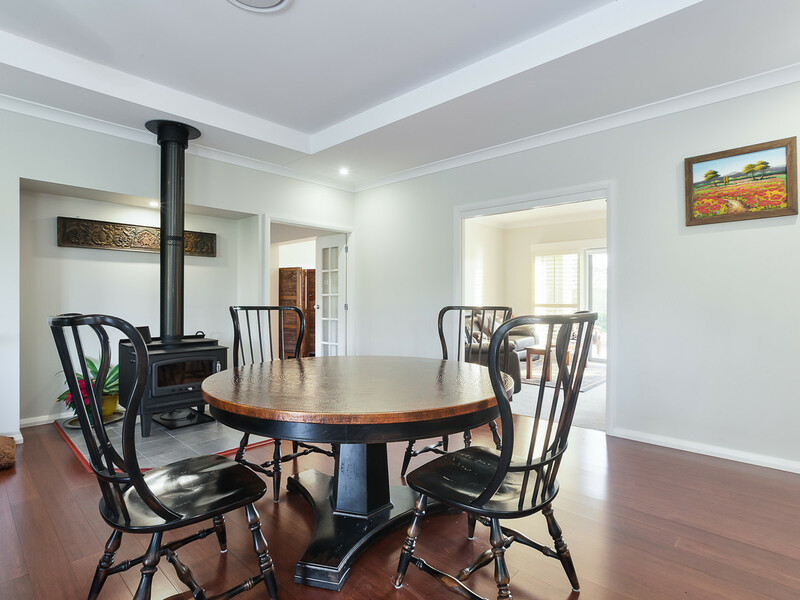 A separate 4 bedroom, 2 bathroom cottage with loft area, open plan living, combustion fire, air conditioning and high ceilings is approved for short term accommodation however is also an awesome place for the “reli’s” and friends to stay. 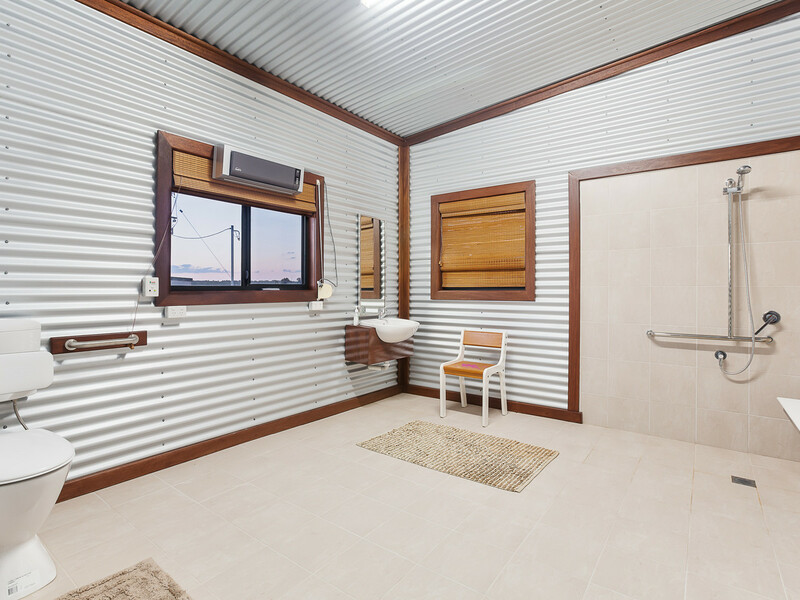 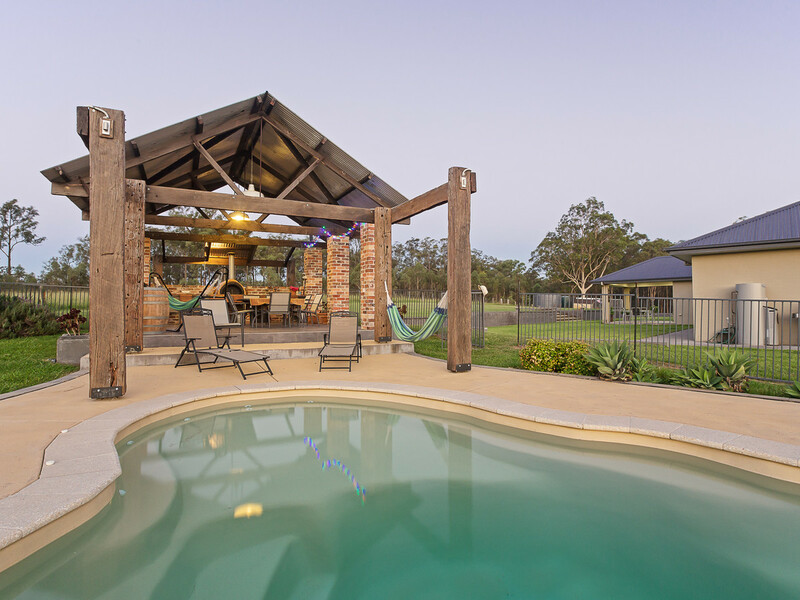 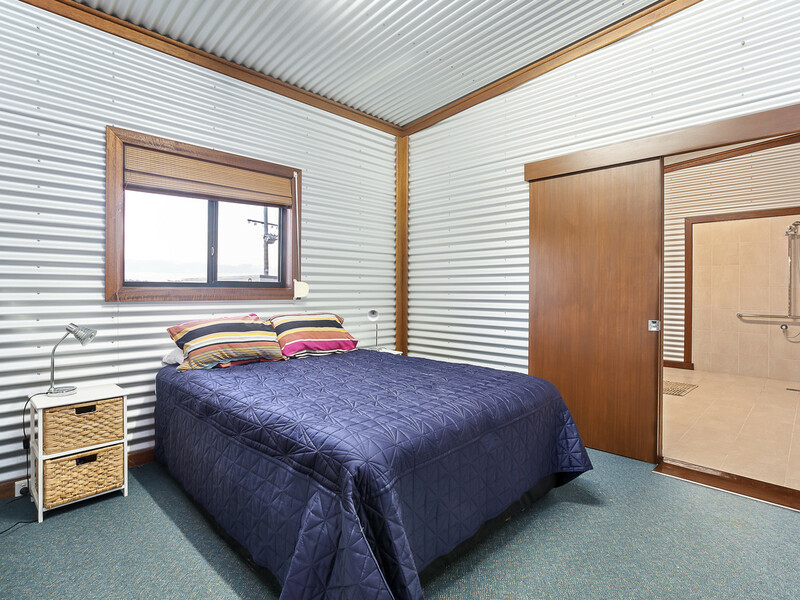 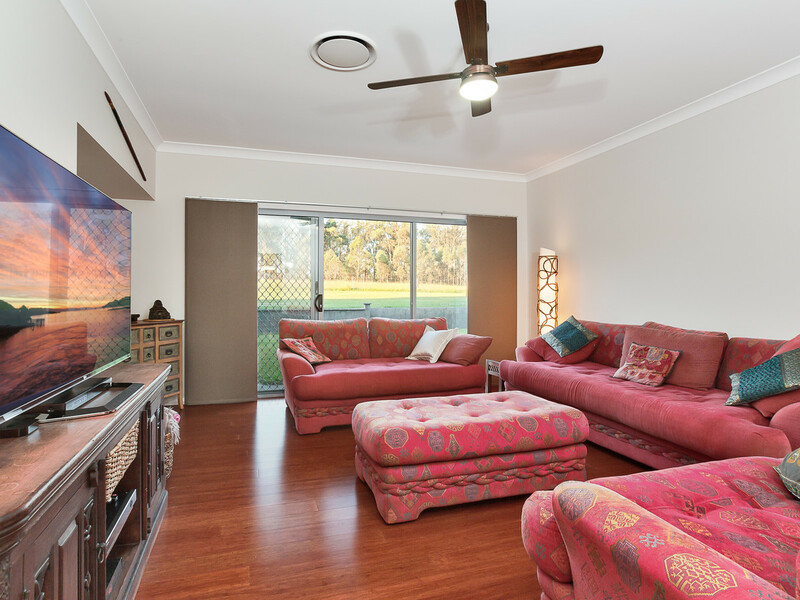 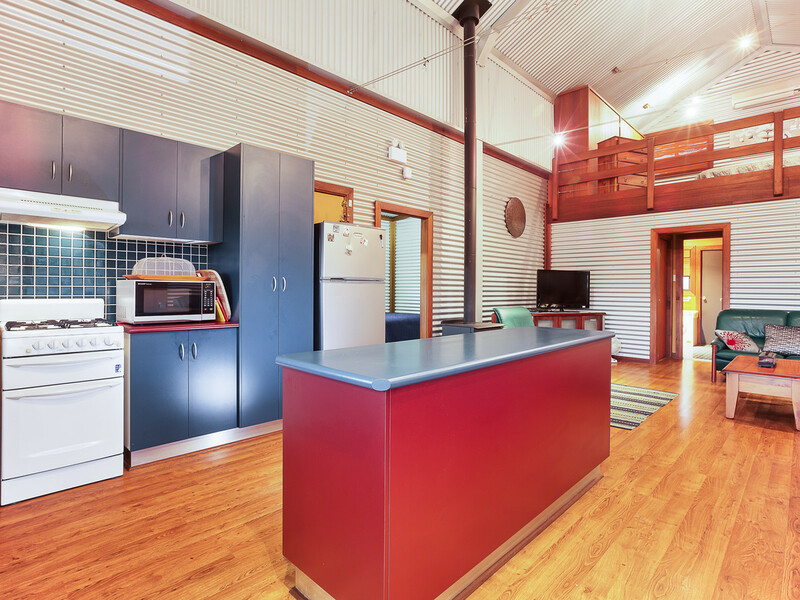 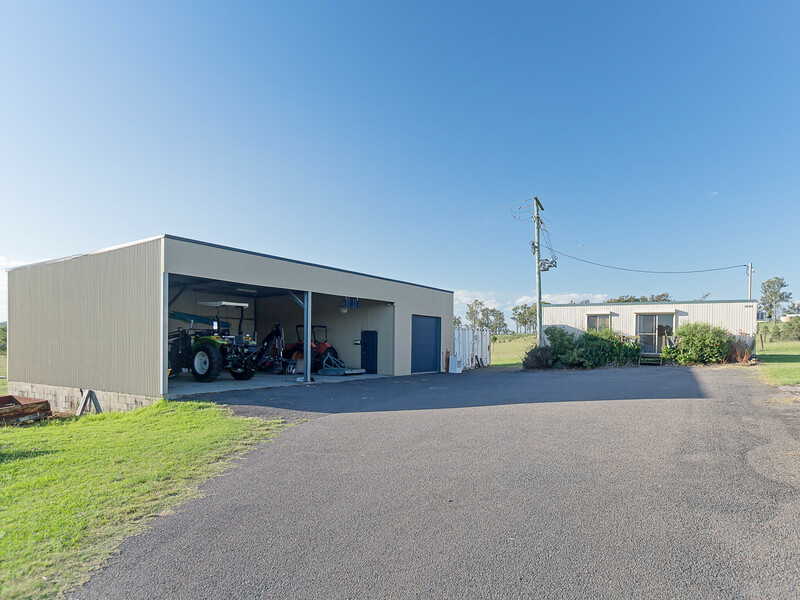 Extremely well established the property has a small orchard, vegetable garden, easy care gardens, several outdoor entertainment areas including a cabana with pizza oven off the in-ground pool, large machinery shed, site office, quality internal access and cattle yards. 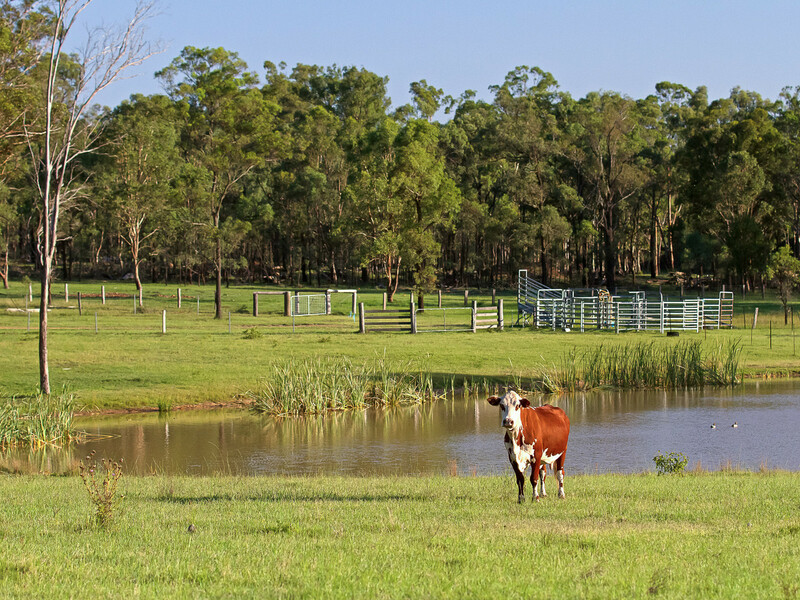 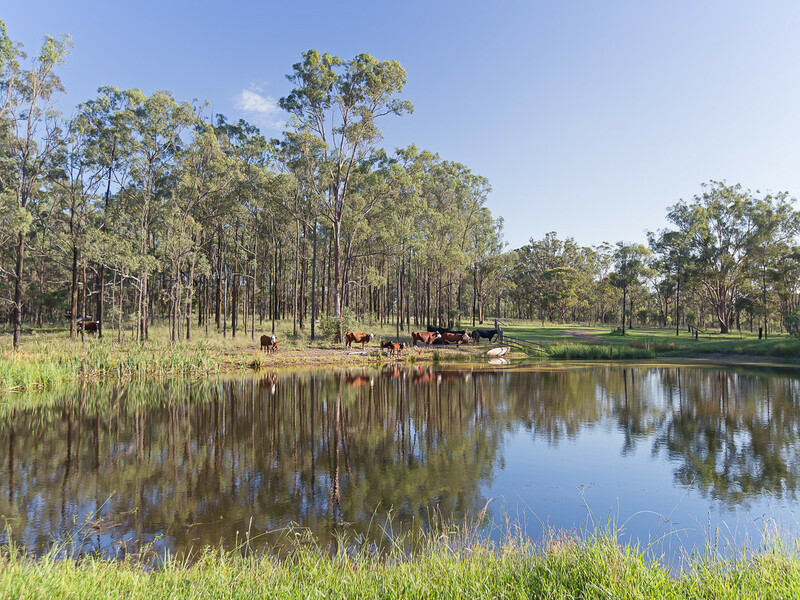 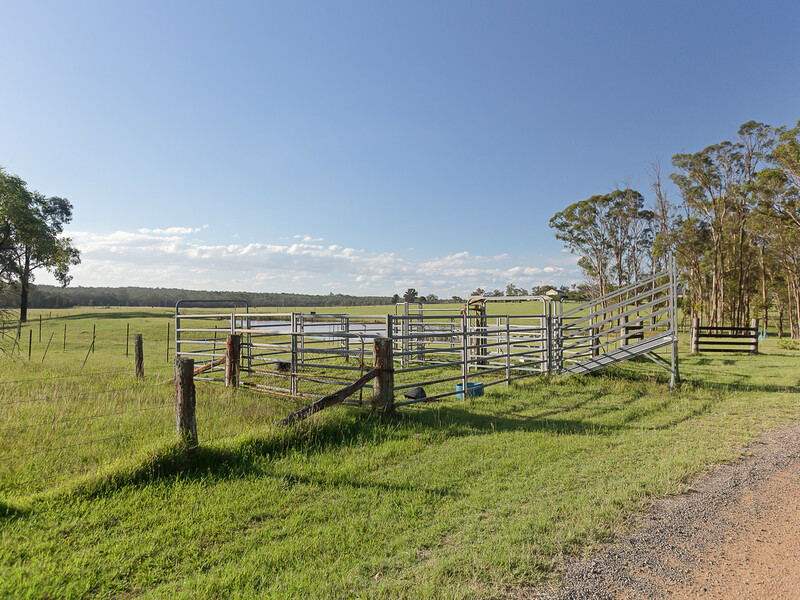 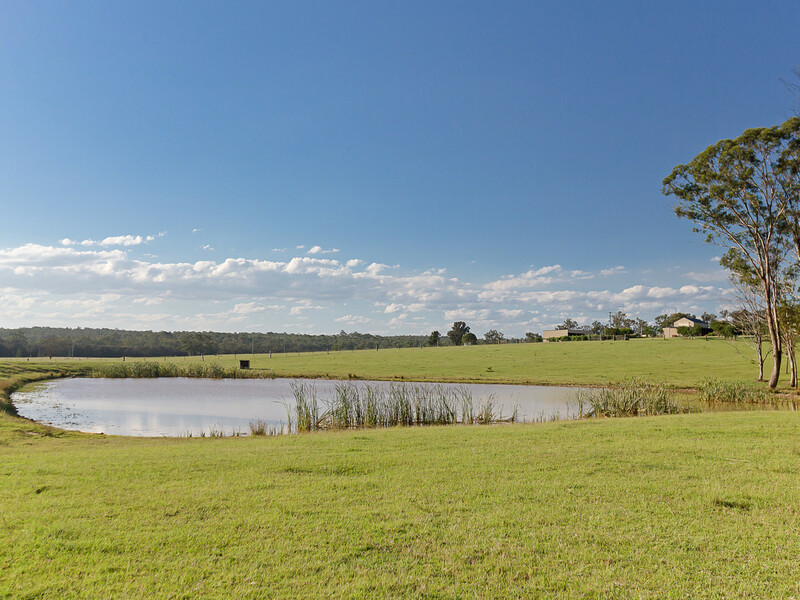 Fenced into several paddocks with 3 dams and creek frontage the property has been pasture improved making it perfect for cattle and/or horses. 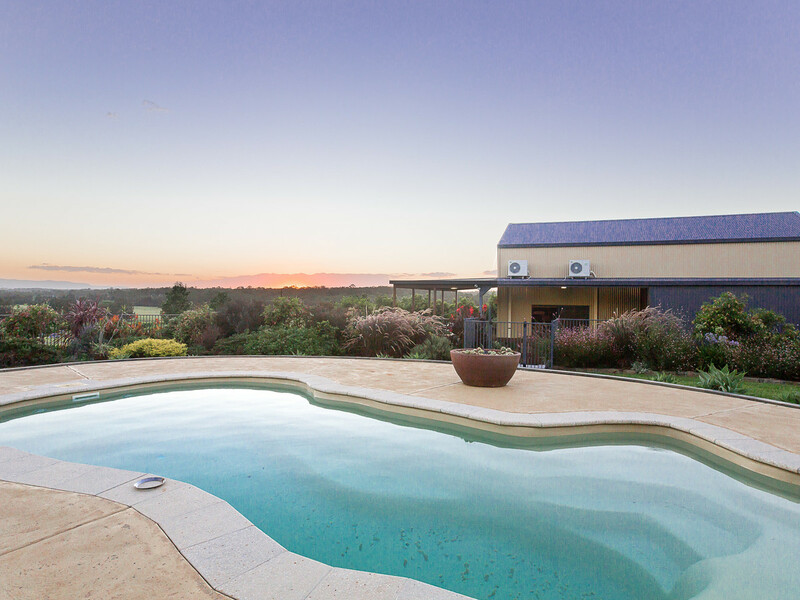 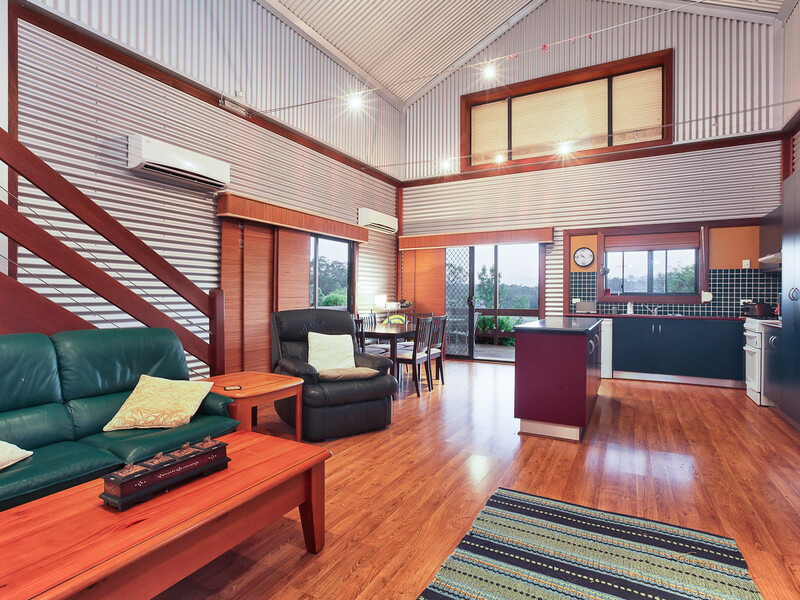 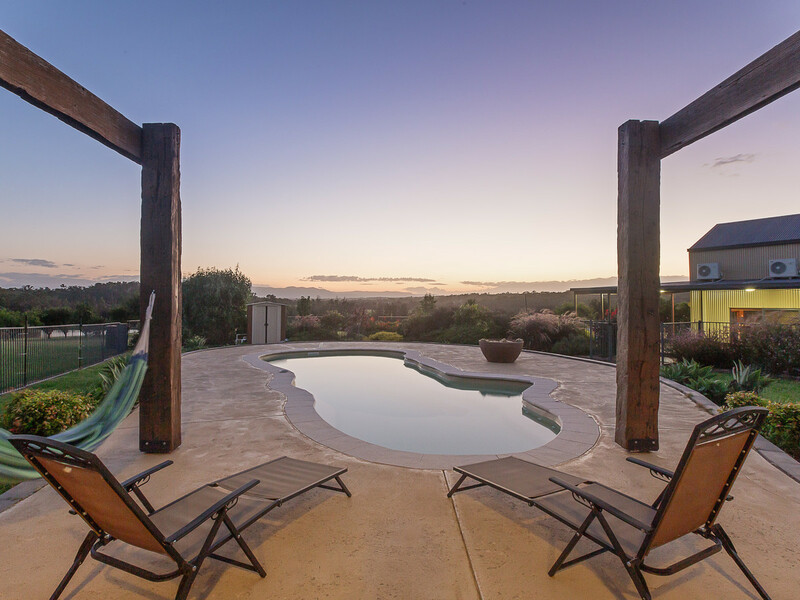 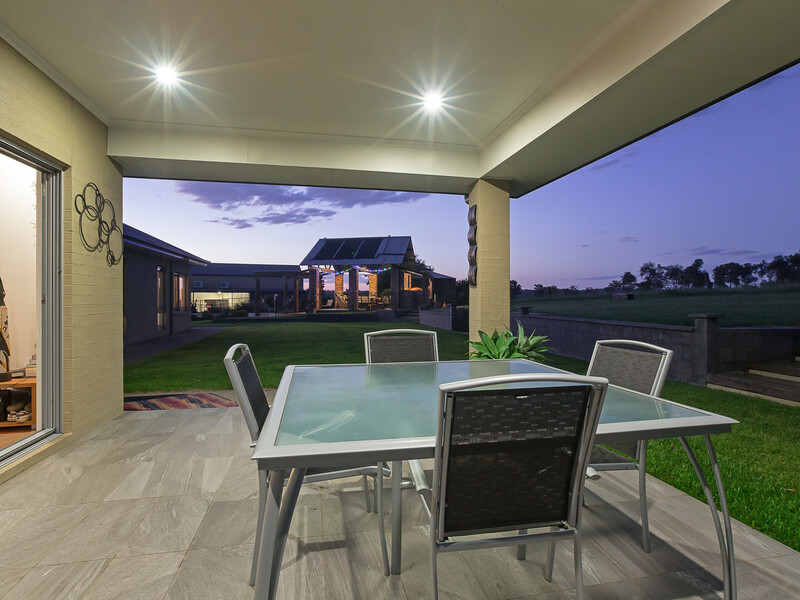 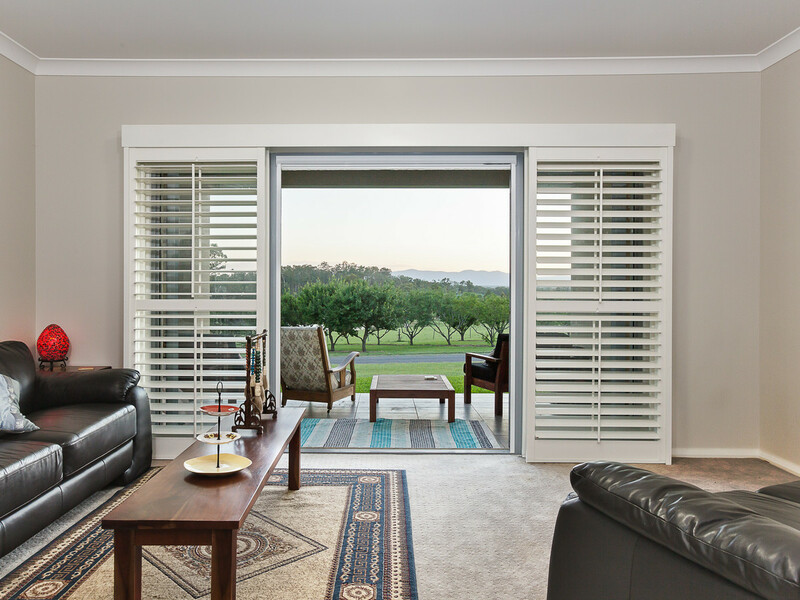 Top that off with stunning mountain views for the perfect lifestyle property.